Promote your event like a real cowboy (or cowgirl!) when you advertise in advance with Rodeo Rustic Flyers. 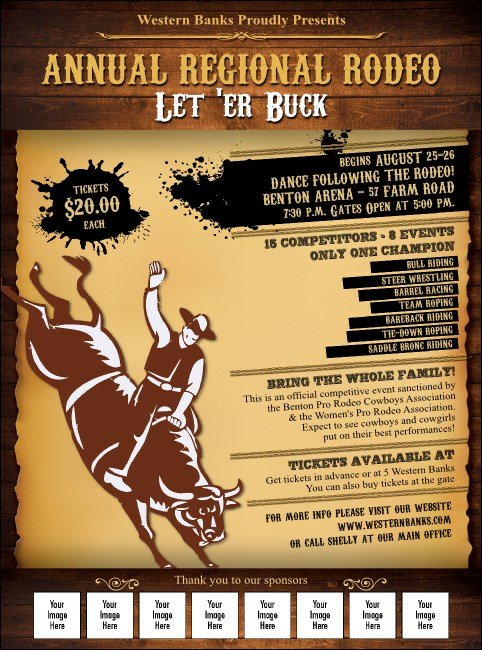 Put your sponsors up on that high horse with Flyer templates that feature space to upload eight of your own unique images on a country Western background that includes a bull rider front and center. TicketPrinting.com helps you ride your event promotions to the top.